Many thanks to the The Scaffold Company for supplying the structure for our barn owl nest hide this year. This years barn owl hide revenue is all going back into barn owl conservation creating permanent nesting sites for this beautiful owl species. The Scaffold Company has also pledged to erect the scaffolds for the builders to work off whilst the construction is in process. We are hoping to have the towers ready for the owls early 2019. We would like thank our local Travis Perkins branch (Bourne) for supplying the materials for one of our permanent brick built owl towers. The owl towers are a great solution to the problem many barn owls face during the breeding season which is finding a suitable nesting site. We would like to thank David Wilson Homes for supplying us with 5 packs of bricks for our permanent brick built owl towers. This is a great move by David Wilson Homes as it shows that they are willing to help out on the conservation of the owls that sometimes get displaced with new development. We would also like to take this moment to thank Graham Davis for organising the donation. With the fantastic weather the UK has been experiencing it made us get ourselves into gear with the planting we want to get done this spring. We have laid another 100m of wildlife hedgerow this time at our Dyke hide. The hedge is planted 1 per meter so as to allow each tree the space required to grow maximizing to potential food from each. Its a native mix designed to give a longer yield of flowers for the insects with different species flowering at different stages throughout the summer and then the resulting fruit for the birds being ready for the arrival of the winter thrushes in late autumn. We like to create habitat for the wildlife at all our permanent hides - laying down this kind of habitat for the bottom of the food chain ultimately helps out all the species that we love to photograph which are quite often above them in the chain. Here at wildlife photography hides we are working with the wildlife to enable us to give as much as possible back to the environment in our local area. Thanks to everyone who uses our hides as we wouldn’t be able to do the conservation work that runs alongside the business with you. Last week we began the construction of a second permanent brick built barn owl tower which has been sited down one of the many fen roads local to us. These fens are an absolute haven for all birds of prey with large areas of open land and ditches to hunt along. There is plenty of prey but these flat featureless areas are unfortunately lacking suitable nesting places - this is why constructions like this one and plenty of nest boxes up on the few trees there are are so important for the birds. The tower has been built adjacent to a large derelict barn complex which for every year for as long as we can remember has had Barn owl, Kestrel & Little owl all nesting in boxes within the old crumbling structure. Unfortunately the site is due to be developed this year and in doing this most of the wildlife will need to find a new home which is where this new construction comes in. Its been specifically designed with kestrels, bats, little owls and barn owls in mind and will act as a new home for some of the wildlife in the area. Obviously in these situations it is always sad to see something that mother nature has claimed back being taken over again by humans but at the same time it's so refreshing that the land owners were aware of the habitat this derelict complex offered to the wildlife and wanted to put measures in place to solve the problem before going ahead with the works. When we heard about the plans to renovate the barns we offered the landowners the support and funding to correctly see through the mitigation of the residing wildlife. These projects are funded by the photographers that use our hides so special thanks to everyone who supports us!! We were approached by an outdoor learning/forest school for some advice on setting up a bird feeding station in their small area of woodland to help connect the children with the natural world. Naturally we cooperated and wanted to take it one step further so decided to build them a blind/shelter so the children could see the birds visiting the feeders at very close quarters. We are part way through the build but wanted to share with you the progress so far - as you can see the opening is wide enough for lots of kids to line up and with the mirrored glass pane that's going to be installed it’ll offer the children exceptional views out to hopefully lots woodland birds. Thanks for the The Bramble Patch for coming to us - we are always on the look out for anything to do with science, education & conservation and especially love getting involved when the next generation will benefit. The materials are being funded by revenue from our hide rentals so thanks to all the photographers that support us and enable us to continue giving something back. Here at WPH we are constantly on the lookout for conservation projects to help protect and promote our native flora and fauna. Today we were out installing nest boxes for owls and kestrels at a large barn complex down one of the many fen roads local to us. Having spoken to the land owner in the pub a few weeks ago he informed us that the barn owls were using his barns to roost but there wasn’t any boxes or natural sites that he knew of on the farm so allowed us to come in and create the habitat that these species so badly need. The fens being flat and near featureless the farmyards become a magnet for the birds to try and find a suitable nest site - the habitat itself is perfect for hunting with all the field margins, dykes and rough grassland so can potentially sustain good numbers of owls and raptors but without nest sites the birds are not able to breed. After locating the roost site the barn owl box was installed within the same barn and in full view of where it enters the building. We also installed a kestrel box with a view over the fields and a little owl box within an old open fronted shed. One more to go up tomorrow on an old tree which recently lost a rotting limb that barn owls had previously used so high hopes for this box next year. These projects are funded directly from the photographers using our hides so special thanks for everyone who uses our hides - we certainly enjoy giving back and it wouldn’t be possible without your continued support!! Some of you may remember the Barn owl nest hide that ran back in August - we decided to put all revenue from this hide straight back into barn owl conservation by building a permanent brick built owl tower for barn owls to nest and roost in. The construction's design is also adapted to benefit lots of other species along the way. We began the build back in late October and completed today. We would like to say special thanks to the people who helped out with this project. Travis Perkins (Bourne) supplied some of the materials used in the construction. We wanted as much as possible to build the tower out of reclaimed/recycled materials further lessening the impact on the environment. Some of the materials of course couldn’t be sourced in this way so Chris at our local branch donated the sand, cement, ply board and steel reinforcing etc. The Scaffold Company came in and erected a scaffold for us to be able to work safely at heights at the tower and also erected the scaffold hide used at the barn owl site we used to generate the revenue for the project. Graham Davis gave up a whole weekend on the initial build and then came back the following weekend to finish the roof tiles and cement work. Massive thanks to Graham - we wouldn't have been able to do it without you. The Dorrington family for allowing use of their land for the initial hide that raised the funds for the project. When it came to designing the structure there was a strong emphasis on making the building look old so as when successful with the owls using the site we can work with them during the breeding season while they bring up their young creating images that represent their normal breeding situation. Using the reclaim materials made this easy along with using an old fashioned mortar mix with lime and the Flemish brick bond is also something that is typical of old style barn buildings. Another tweak in the design was building 3 aspects into the construction so as year after year there is a different perspective on images. The roof was designed with bats in mind - all the timber was left untreated as their sensitive skin doesn’t like the nasty chemicals used in wood preservatives and also built into the roof is a special chamber suitable for kestrels. The open front to the construction with ledges and crevices integrated into it is intended for species such as pied wagtails, robins and swallows to find a nesting site. These projects are funded by the photographers that use our hides so special thanks to everyone who uses them - we are working with the wildlife to enable us to give as much back to conservation as possible. 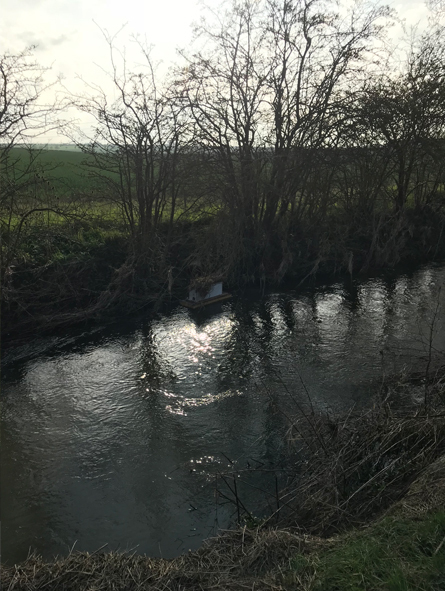 A few months ago we removed a windblown rotten tree from a field - usually under these circumstances the human races clinical reaction is to clean the area back to its sterile state not taking into account the wildlife that would have call this new formed habitat home. We decided to put the part rotting stumps onto a sawmill and split them in half to speed up the rotting process and placed them in close proximity to our pond hide to create a place for amphibians to hibernate, insects to breed and birds to nest. Our ethos is create the habitat and the wildlife will move in - when you create habitat for the bottom of the food chain the top of the food chain will follow and we all love to photograph predators - everyones a winner!! Something that we have wanted to do for a long time now is the creation of an owl tower. Owl towers are a brilliant solution to the problem faced by a lot of owls which is a suitable nest site. With its brick construction it is a far more permanent and maintenance free solution and it has the potential to be more than just a home for owls - we plan on making it into a place that swallows and bats could call home too. We have been doing some building work on the farm so it made sense to reclaim the bricks from an old barn for this project, it will be put together with our own blood and sweat and funding will come directly from this years Barn Owl nest hide participants. We are looking for an early spring completion to hopefully have residents during the 2019 breeding season. Here at wildlife photography hides we are working with the wildlife so as to be able to give as much back to wildlife and conservation as possible. We like to give back as much as possible to Science, conservation & education and it is for this reason we are granted S1 licences each year to photograph some of the more rare and iconic british birds at their nest sites. Our local ringers do a great job at collecting data from sites across the county especially with owls, there is however so much more out there but with the amont of time needed to find some of the nests it makes it not possible for the ringers alone to locate and ring some of the more important species. It was a great feeling to take them to some of this years sites to allow access to ring some birds that without us would never have been ringed. Marsh harriers are not as common sight as they perhaps should be in Lincolnshire so we felt it important to get the young harriers ringed. At the same time and on the same site there was a cuckoo and an accessible sparrowhawk nest that was ringed too. Next year we will be leasing more closely with them to get rings on all the young cuckoos prior to fledging. Here at wildlife photography hides we are working with the wildlife so as to be able to give as much back to conservation as possible. We like to base our hides around working with science, conservation and education. Our conservation work is ongoing concentrating on creating habitats for a multitude of species small and large - our ethos is create the habitat and the wildlife will move in and this has proved very successful with all our hide projects. The science side of things comes mainly from working closely with the local ringers, we alert them of nests we find that are of scientific interest so as further data can be obtained from the ringed birds. This post however is aimed at our education work and something that we cooperate strongly with whenever the opportunity arises. We feel it is so important to educate the younger generations as it will certainly have a positive impact on the future of our fragile world. We had a class of forest school pupils come and take a lesson at our Wired hide. The aim of the session was to learn about owls and their environment. The class began with some facts and a slide show to illustrate these incredible birds to hopefully captivate the children’s imagination and take more of an interest natural history in years to come. The second part was practical and perhaps more fun for the children - it concentrated at looking more closely at the owls diet. We went to one of our local roost sites and collected some barn owl pellets for the children to dissect. This is something we have done ourselves to better understand our own local birds and the exercise never ceases to amaze us as to what oddities the owl consume. A really rewarding morning with these guys and certainly feel that there should be something on the national curriculum about natural history and conservation. Maybe it’s time to put this forward to the relevant people, all the time wasted on algebra equations that are never used outside of the classrooms - whereas this kind of stuff would be far more valuable to today’s child surely. Having now seen our first swallow, house martin and sand martin we are eagerly awaiting the arrival of the swift. The swift isn’t in fact part of the same family of the above species and is in its own family which funnily enough is more closely related to the humming bird. They have in recent years been in decline which is partly due to the horrific migration hunts that happen on the continent but closer to home its due to a lack of suitable nesting places. The problem being many of the new roofs being installed nowadays do not allow access into the loft space from outside and sometimes even actively prevent access by birds, also many of the old roofs where the birds have previously bred are being re-roofed and the eaves closed up. We have seen this decline first hand in one of our local villages so decided to initiate an action plan in the village pub over a few pints :) We now have 4 homeowners on board with the project to create a network of suitable nesting sites for these masters of the sky. We have been busy making the ideal nest boxes as tried and tested and each is tailored to the individual houses that they are being installed on. We have sponsored this post in order to give it a further reach so please like comment and share to send the message further. 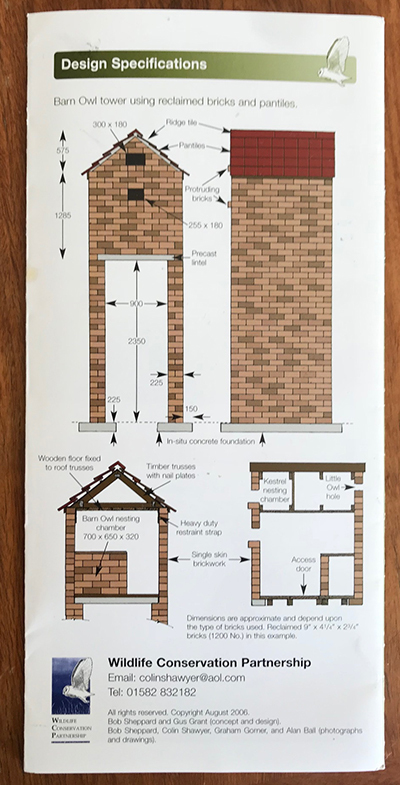 It’s something that anyone can get involved with - if you see swifts in your area why not try and intiate a similar project or alternatively just build one for your own house. We can assure you there is no better feeling than seeing the species you created the habitat for using it, we get a buzz every time and we do a lot of it. All of the information we required was found on this website www.bristolswifts.co.uk and by speaking to Mark & Jane Glanville so huge thanks to them. They have made a huge difference to the swifts in bristol and across the country. Please comment and share to see if we can get a few more boxes put up across the country. Here at wildlife photography hides we are working with the wildlife so as to be able to give as much back to wildlife and conservation as possible. All projects are funded by the photographers that use our hides so special thanks to all who use them. Thanks to Ben Andrew for the images we've used to illustrate this incredible bird. As many of you will know here at wildlife photography hides we take a different approach to getting the wildlife in frame. Firstly we create the perfect habitat for our intended species followed by some supplementary feeding within the habitat. This in our opinion is a far more ethical approach than the usual contrived feeding stations. Using this method then creates a home for far more species big and small than just the ones the project was initially started for. In a time when land is being swallowed up for intensive farming, old buildings and barns being removed or renovated & the ever growing housing estates encroaching on the green belt it is so important to give wildlife a second thought. Our biggest project to date is the complete habitat change on a small 5 acre piece of land. With the project nearing 2 years now its fantastic to see a full food chain in place with everything from the native flora to the apex predator (otter) thriving. We are now looking into how other wildlife can benefit from our creation and would like Water Voles to call our little piece of heaven home. Water voles are excellent candidates for the area as it is already near perfect habitat for them and will have almost certainly been in the area in years gone by. Mink however are their biggest nemesis so for the voles to thrive firstly the non-native and hugely invasive American Mink needs to be removed. We have built 3 mink rafts for the water course that runs close to the pond in a hope to remove them from the food chain in our area. We have had early success trapping one however there is a second still around that is being captured on our cameras occasionally. Once we believe the area is mink free we will be looking into a reintroduction programme and/or helping them out to recolonise the area by introducing safe burrows and by planting some of their favourite food sources. These projects are funded directly from the photographers that use our hides so a special thanks to all who use us. We certainly couldn’t do it without you so hopefully you will also benefit from this project in the coming years with water voles on the wildlife photography hides line up. We certainly love giving wildlife a home and are looking forward to having the native and incredibly cute water vole once again calling the river and hopefully pond home. We have been busy at our 'Wired Hide' this week introducing some new props for the owls this year but also completing the habitat we have been working on outside of the hide. 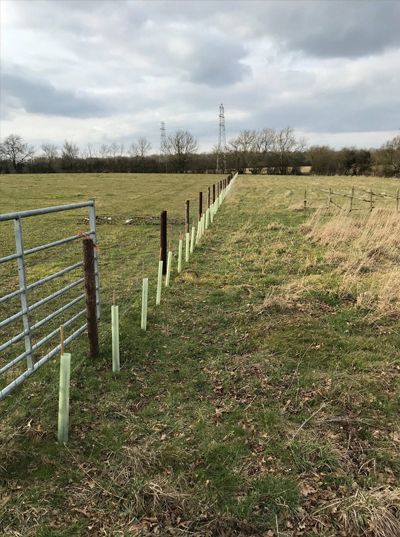 Last year we fenced off over an acre of pasture and began managing the grass in a wildlife friendly manner. The final part of this project was to plant a wildlife hedge alongside the fence. Its a common misconception that hedges need to be planted 4-6 per metre - in fact a good wildlife hedge is 1 per metre. This then means the plants have space to grow, flower and fruit creating not only a home for the wildlife but also a source of food. We have gone with a good mixture of native trees and shrubs so as the hedgerow doesn't all come into fruit at the same time yielding a great food source for our wildlife for a longer period of time. It will be a few years before it truly comes to life but the habitat has been laid down now for future generations of insects & birds. These projects are funded directly from the photographers that come to use our hides so a special thanks to all who have attended - we couldn't do it without you. We are working with the wildlife so as to be able to give as much back to wildlife & conservation as possible.